An April trial has been set for the Delaware man charged with aggravated murder in connection with a Jan. 25 shooting that left a Hilliard man dead. 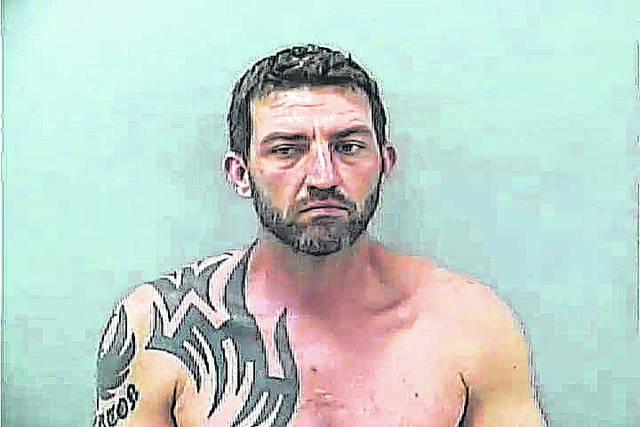 Bryan S. Pemberton, 33, of 994 Stratford Road, Delaware, appeared in Delaware County Common Pleas Court Monday for an arraignment before Judge Everett H. Krueger. At the hearing, Pemberton’s attorney entered a not guilty plea to the aggravated murder, a first-degree felony charge, on behalf of Pemberton and said he would be filing a motion to enter a plea of not guilty by reason of insanity. Krueger accepted the plea and scheduled a jury trial for April 24. Assistant Prosecuting Attorney Mark Sleeper estimated the trial will take four to five days. Before the arraignment, Sleeper filed a motion asking Krueger to deny bond for Pemberton, and to establish the facts of the case, Sleeper called City of Delaware Police Detective Daniel Madden to testify about the events of Jan. 25. Madden said that around 6:49 p.m. police received a call about a shooting on Stratford Road and immediately responded. At the scene, they found Ali Al Azirjawi, 28, of Hilliard, deceased with a gunshot wound to the face and chest. Madden said Azirjawi had gone to Pemberton’s residence with his fiance to pick up a 7-year-old that his fiance shared with Pemberton. Madden said the 7-year-old was supposed to be at school function and when she never arrived, a teacher contacted her mother. Madden testified that Azirjawi’s fiance called Pemberton when they arrived but received no response. He said they were calling again from the car when they noticed Pemberton standing outside the driver’s side door with a shotgun. Madden testified that the fiance said Pemberton shot Azirjawi as he was getting out of the vehicle. Madden said Pemberton would have been about a foot away when he fired the shot. At that point, Pemberton gave the gun to his mother who rushed outside when she heard the shot, Madden said. Madden testified that Pemberton admitted to shooting Azirjawi to employees from a nearby business when they investigated, and he made a voluntary statement to police at the scene admitting to the shooting. Delaware County Prosecutor Carol Hamilton O’Brien said house arrest was too risky and said GPS monitoring would not be enough to protect the community. After hearing the testimony and statements from the state and defense counsel, Krueger denied bond for Pemberton. Krueger told Pemberton that if he is convicted, he could face up to life in prison without parole. Krueger said the aggravated murder charge also carries a firearm specification, which would add additional prison time if Pemberton is convicted. Both Pemberton’s family and Azirjawi’s family were present in the courtroom Monday and were escorted out of the building separately by Delaware County Sheriff’s Office deputies. At the Municipal Court arraignment, prosecutors said a 1-year-old child Azirjawi shared with his fiance was also in the vehicle but was not harmed in the shooting. According to law enforcement officials, it’s the first murder in the City of Delaware since 2011.